The book Where Men Win Glory written by Jon Krakauer talks about the life of Pat Tillman. The book talks about how Pat was an NFL superstar for the Arizona Cardinals and how he left a big contract on the table to join the Army and support his country. The thing that caught my attention most about this book is how in high school Pat was told by the football coach that he was to small and undersized to make the football team, then Pat showed the coaches at tryouts that he can really play and had tons of heart for a kid his size. It took guts for Pat to take on a sport that was generally tougher for undersized kids to play and eventually go pro in it. The thing that really showed Pat had guts was to walk away from the sport and all the money that came with it, to take on a challenge even greater then the sport of football, that was to help fight for his country. The theme of the book Where Men Win Glory is "few men have the bravery and courage to support their country." This is the theme because Pat Tillman demonstrates it when he decides to join the army after asking away from his NFL contract with the Arizona Cardinals. Not many people even have the courage to join the Army and there are even fewer people that leave behind a professional sports contract to go on and fight for the country they live in. Pat stood tall and showed us how to be courageous and take action in our thoughts and do what we believed was right. 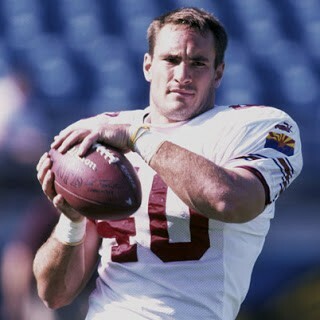 Unfortunately Pat Tillman was shot and killed while supporting his country in Afghanistan. At first people said that Pat was killed by enemy fire but the pentagon had later on notified his family that he was killed by friendly fire. I would definitely recommend this book to other people. This book is the most inspirational story i have ever read. It is inspirational because it shows the courage that Pat Tillman had throughout his life, even growing up as a kid in the suburbs of San Jose California. Pat was told by high school coaches that he was undersized for football and would never make the team especially because the school he was at was a talented football team. Pat would prove not only them wrong but many people that would watch him carry his career as a safety of the National Football League. As inspirational as Pat was for a football player, he was more inspirational as a person because he walked away from his sport and job to take place as an Army Ranger and fight for the country he lived in shortly after the terrorists attacks of september eleventh. During his time with the army Pat earned the silver star award, the purple heart, and the meritorious service medal.